Its time for another monthly link up of Sharing Our Spoons! Physical: Cut back to one soda a day. I have totally backslidden on this goal. Ugh. I’ve struggled more with nausea this month (hopefully that is not a sign of pending problems) so I’ve leaned a little more on it than I most definitely should as I’m not eating as much. For November, I’m going to shift gears and focus on being more active. I have the opportunity to review a new at-home workout system so my goal is to do at least 20 minutes of exercise 3 times a week! I cannot wait to share the details! Mental/Emotional: Schedule lunch with a former professor to help gain perspective on the impact of this most recent surgery and help reassess my goals as far as how my illness affects my ministry. I finally had lunch with my professor and it was amazing! Now to make it a regular event! For November, my goal is to complete National Health Blog Post with WeGo Health (which you probably have noticed has already kicked off). The prompts are so well-rounded and really address all aspects of living with illness. Spiritual: Read How to Start A Chronic Illness Small Group Ministry by Lisa Copen and continue to pray for God’s guidance in whether or not to start a group locally. Still working on getting it finished (and still loving it). My goal is to be absolutely finished by the end of the month! One of the prompts for NHBPM is to review a book so I can kill two birds with one stone. Something fun: Participate in What I Wore Wednesday blog linkups at least 3 times this month. Another fail. I am not taking this done because it is something I really, really want to do darnit! I just got a tripod and remote for my camera so I cannot use the excuse of forgetting to have J take a picture! 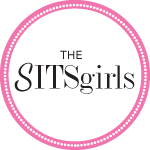 Hi Jamee–I clicked through to your blog through a comment you left on SITS, and I’m so glad I did. I’m also infertile (now sterile), with fibromyalgia, migraine, and likely celiac disease–and before my hysterectomy had endo and PCOS. (I’m convinced these things are all connected.) You know how it is when you discover someone who has been through what you’ve been through and so they *know*? That’s how I felt when I read your About page. Not sure I’ve ever run across someone who has dealt with so many of the same things. Looking forward to discovering what you have to say.